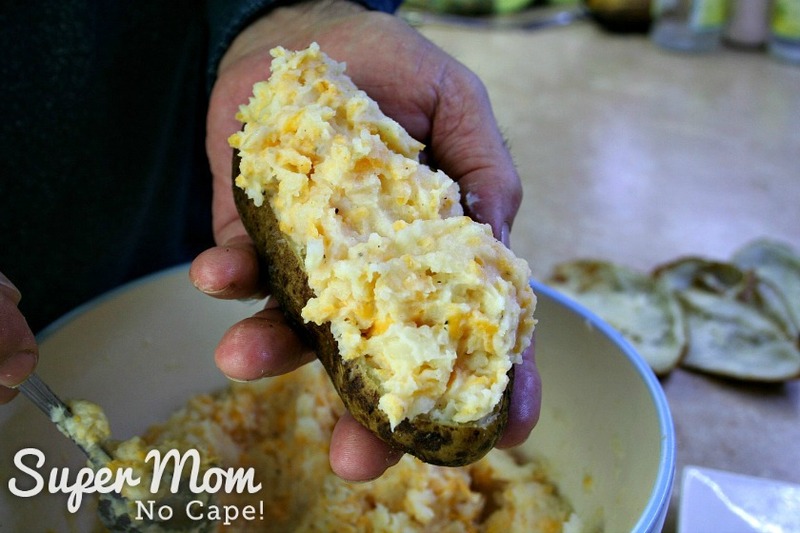 If you’re looking for something extra special to serve with supper tonight or for a way to use up leftover baked potatoes, you’ve come to the right place. 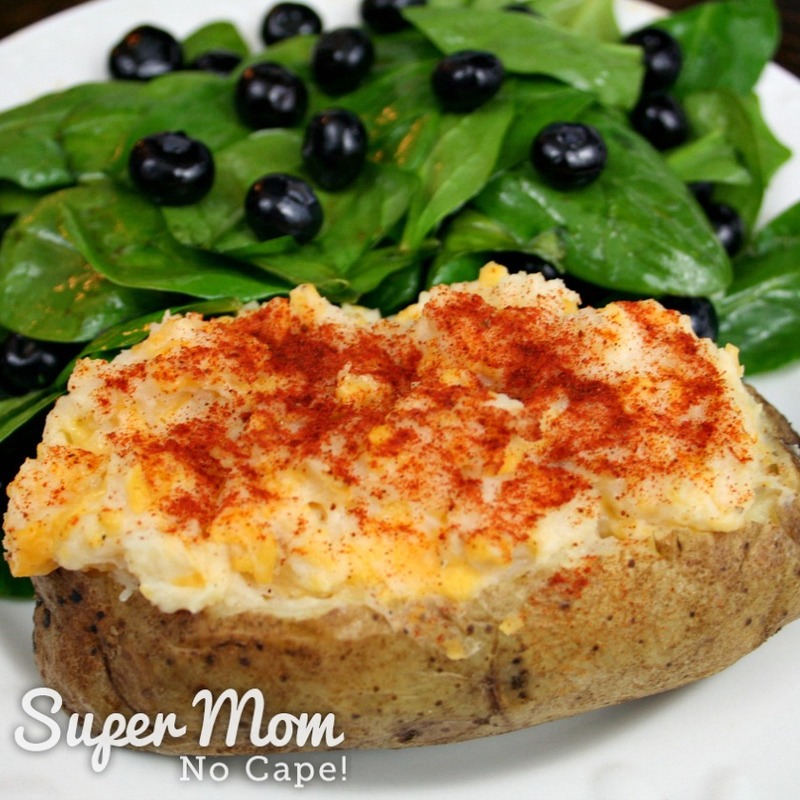 These Twice Baked Potatoes are a Flemming family favorite. 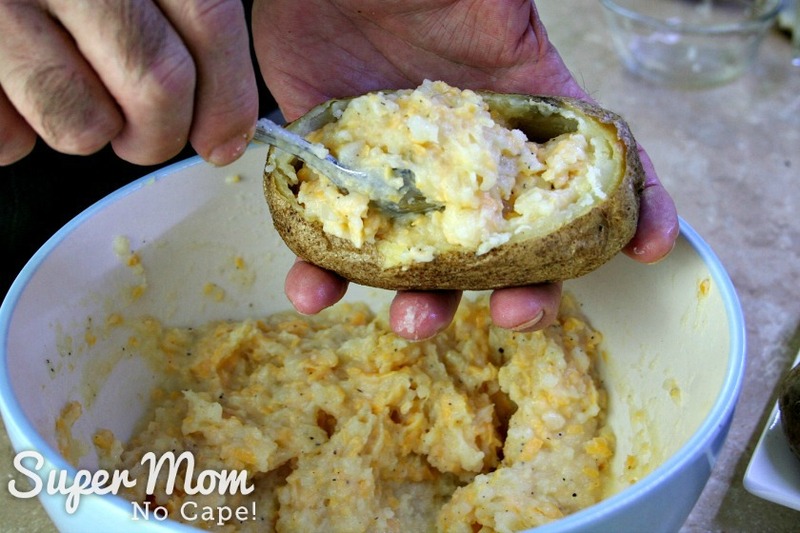 For Sunday dinners, I get requests from our kids for my Potato Salad or Hawaiian Macaroni Salad but when my husband, Dave is doing the cooking, he gets asked to make Twice Baked Potatoes or Scalloped Potatoes. 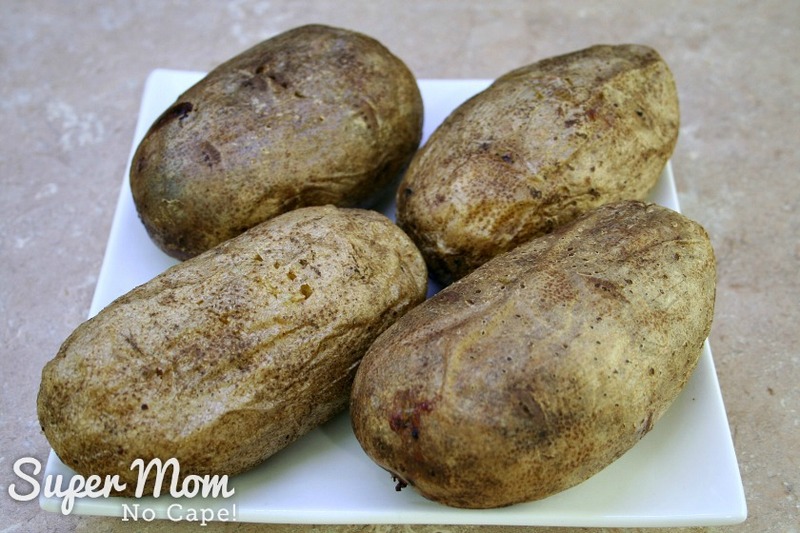 You’ll want to select a baking potato such as Russets… one potato per person. 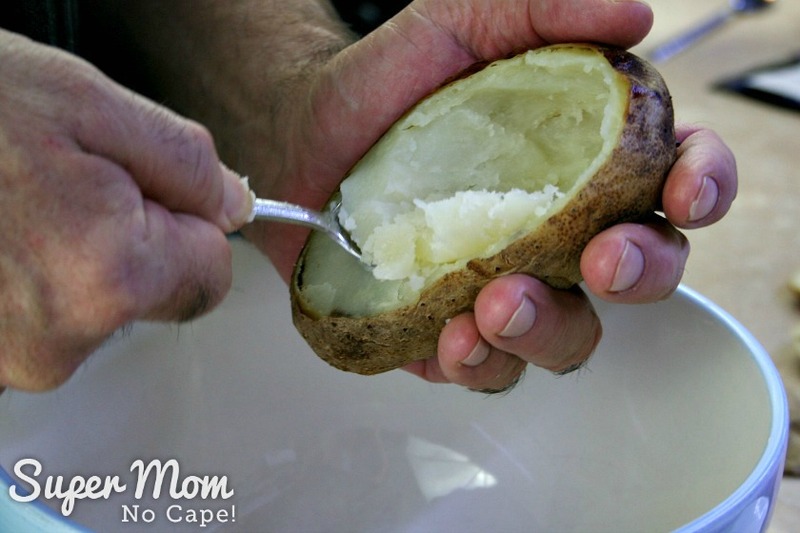 In the following steps, 4 potatoes were used. Need to make more? 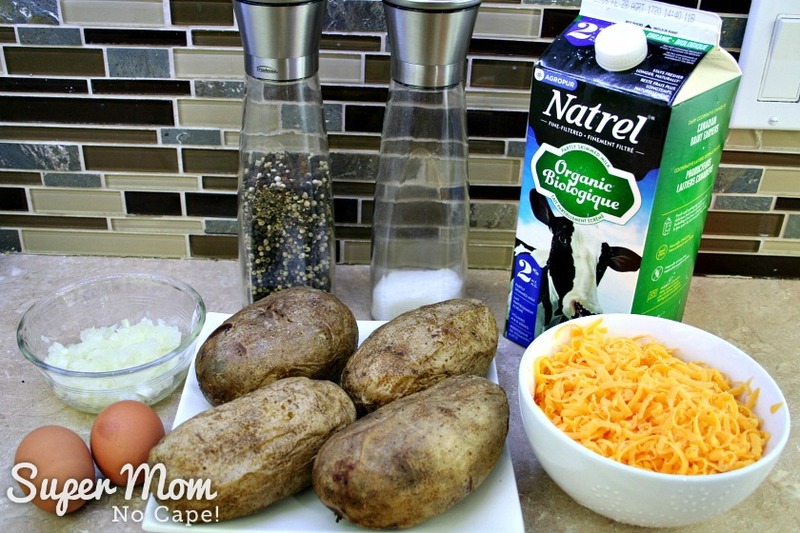 Scroll to the end of the directions for how much to use per potato. 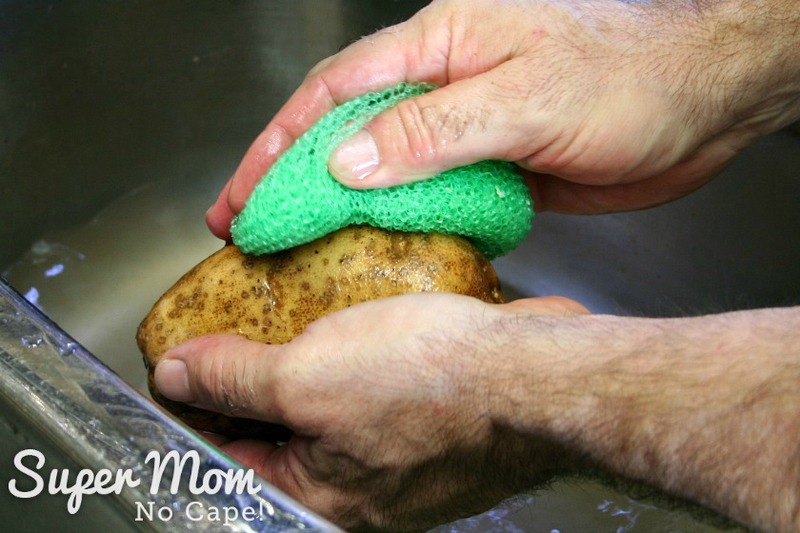 If you’re not using leftover baked potatoes, begin by scrubbing the potatoes well to remove any dirt and then dry them with a clean towel. Quick tip: Keep a clean pot scratcher in a small bowl by the sink that is only used to clean vegetables. By having one that is designated just for veggies, you won’t end up with food that has a soapy aftertaste. Pour a little olive oil into the palm of your hand. 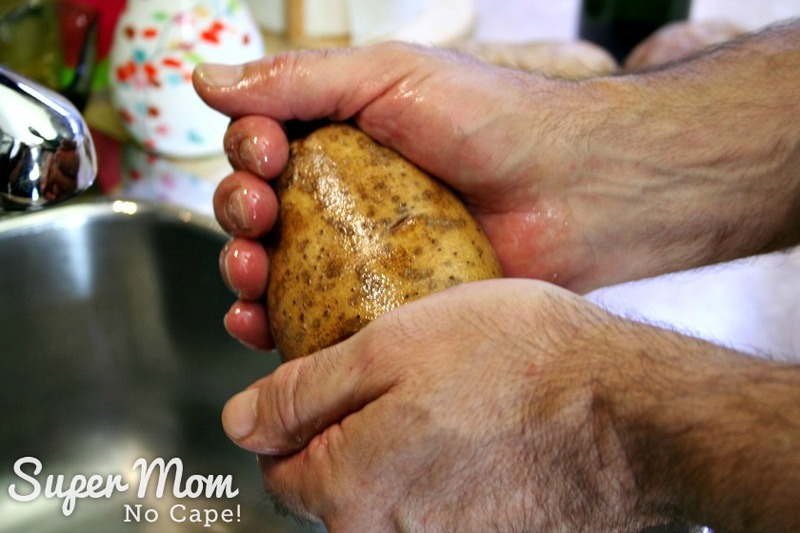 Rub the olive oil over the skin of the potato. This will give the skins a nice crispness once baked. 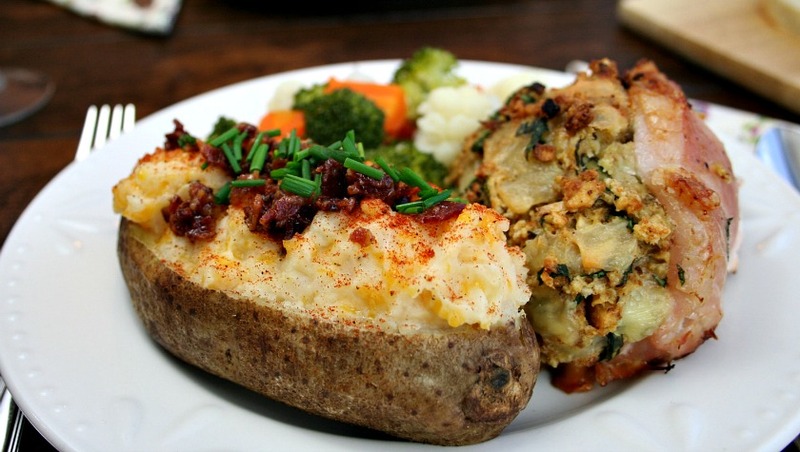 Repeat for all the potatoes you’ll be baking. 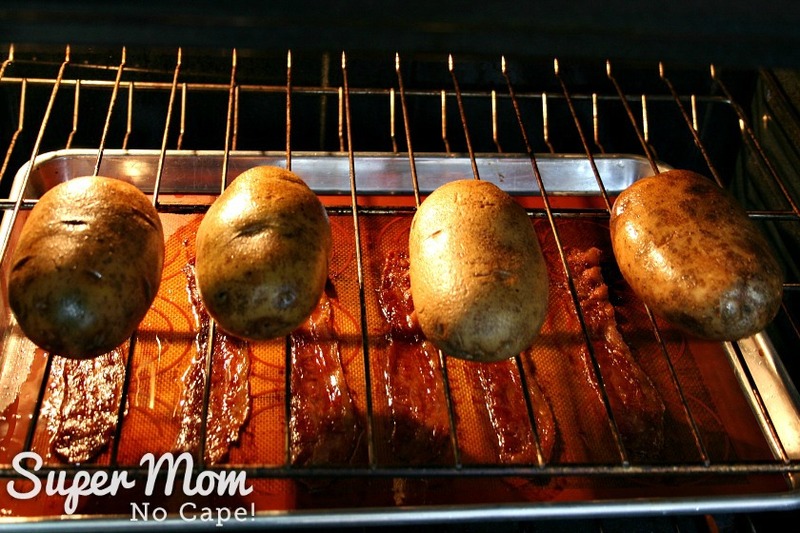 Place the oiled potatoes on the middle rack of an oven that’s been heated to 350ºF. In the photo, you’ll notice a tray of bacon underneath. 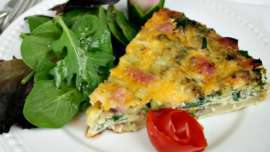 The bacon can be crumbled up to use as a topping right before serving but it’s completely optional. 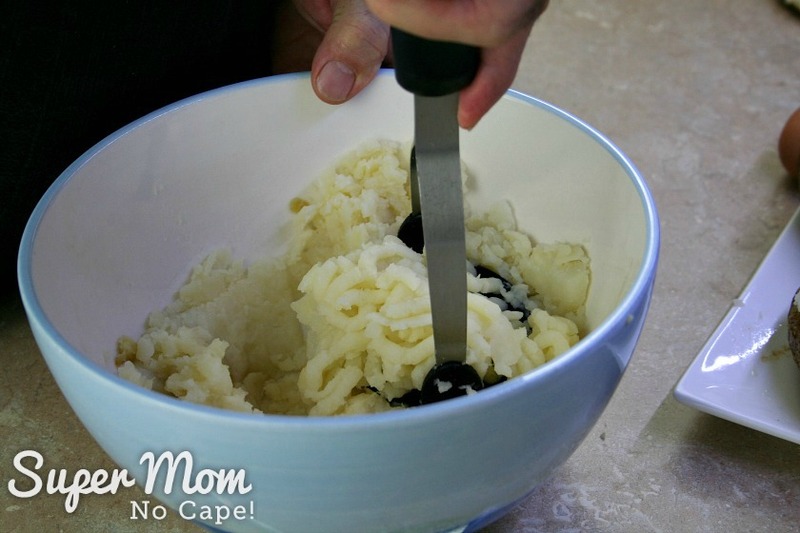 Bake the potatoes for between 50 to 60 minutes or until a fork can be inserted easily. Remove them from the oven and place them on a plate until they are cool enough to handle. 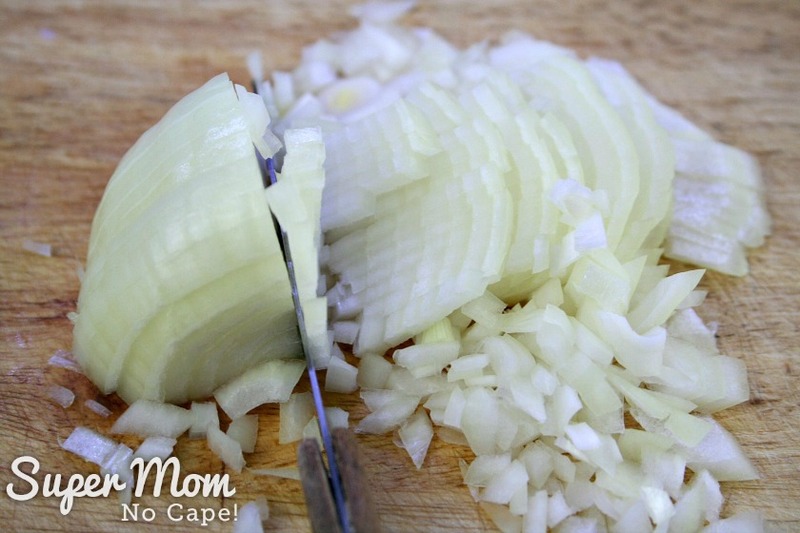 While the potatoes are cooling, finely chop a medium sized onion. 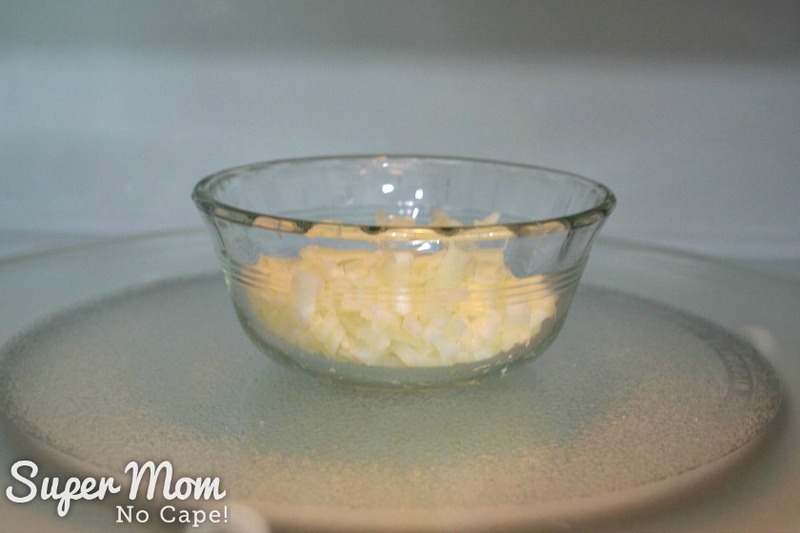 Sauté the onion in a bit of oil or microwave on high for 30 seconds to partially cook the onion. 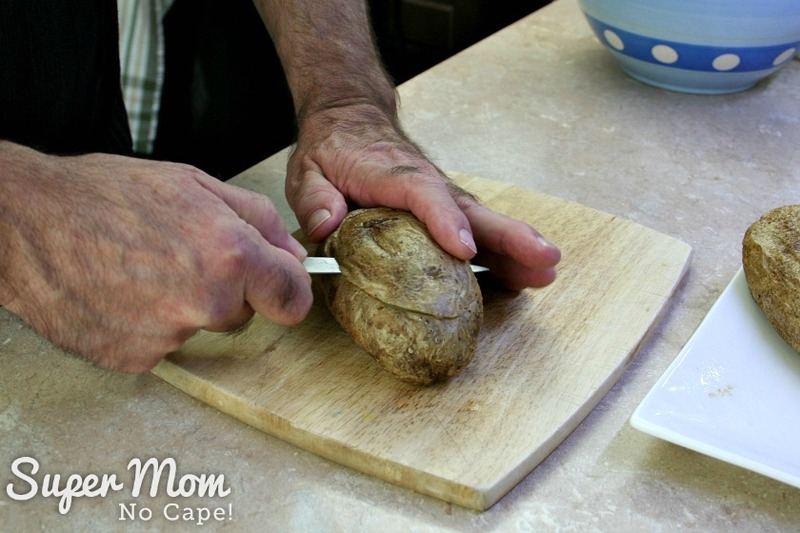 Once the potatoes have cooled, hold the potato as pictured and cut off the top. 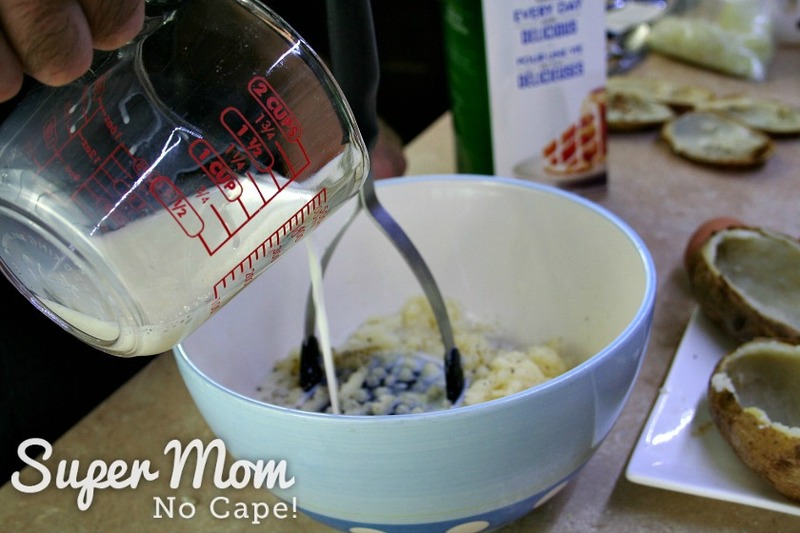 Scoop the soft center from the top into a mixing bowl. Next scoop out the bottom shell, leaving about 1/4 inch of potato inside the shell. You’ll want them nice and smooth with no lumps. 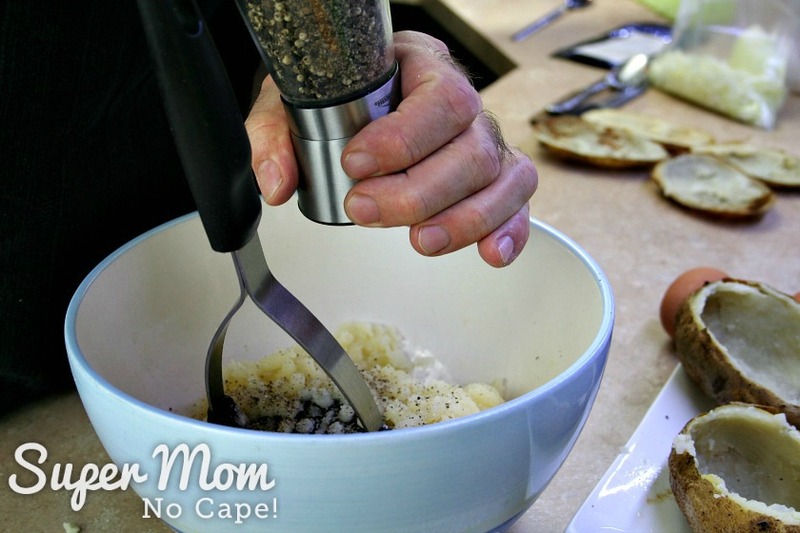 Add the freshly ground salt and pepper. 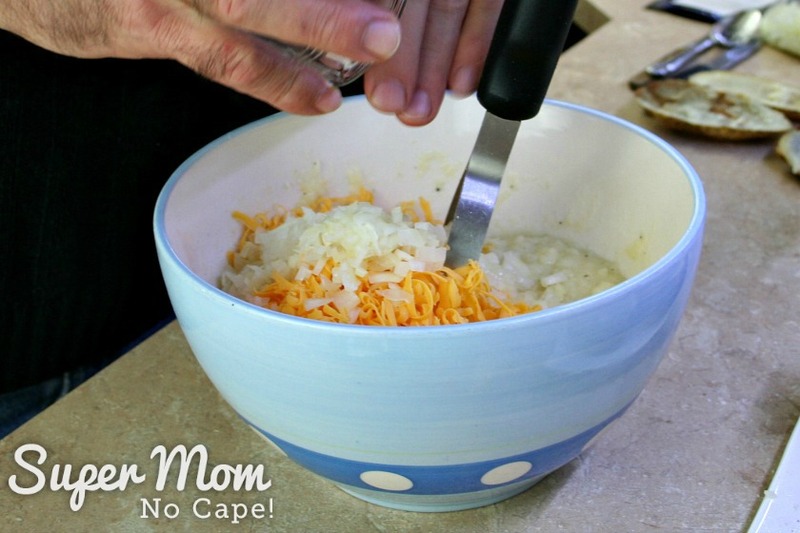 And then the onions and grated cheese. 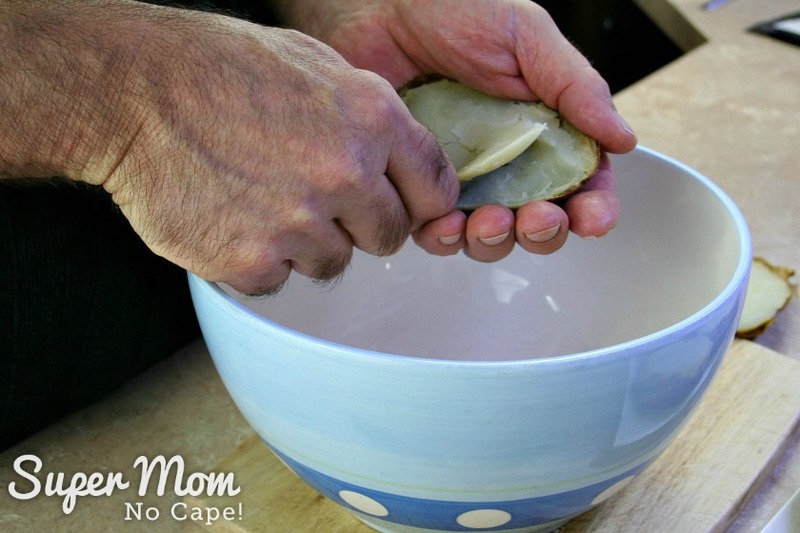 Next fill the shells with the potato mixture, dividing the mixture evenly among all the shells. 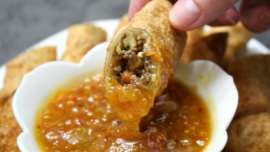 The filling should more than fill the shells, forming a nice mound over which you can place any toppings you’d like to add. Bake at 350ºF for 30 to 35 minutes until completely heated through. 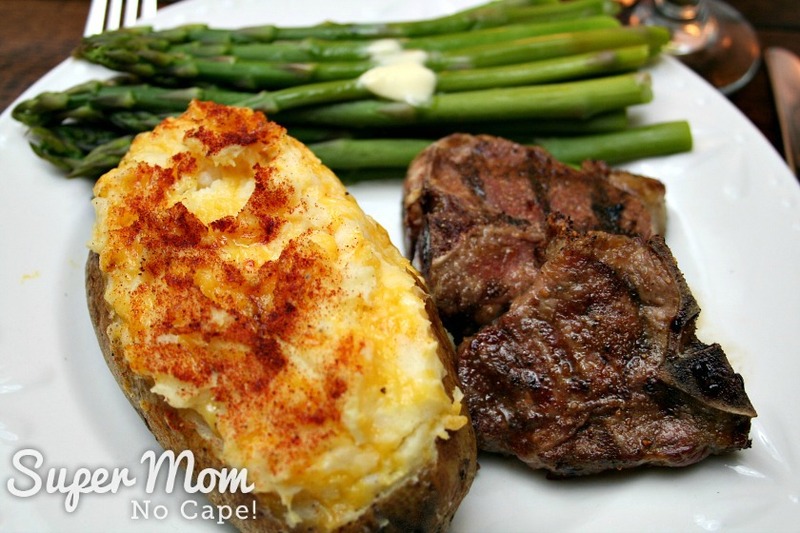 Serve with your choice of meat and vegetable. Here we’ve served it topped with crumbled bacon and chopped chives along side a stuffed pork loin chop and steamed mixed vegetables. Served along side pork ribs and a green salad is another delicious combination. 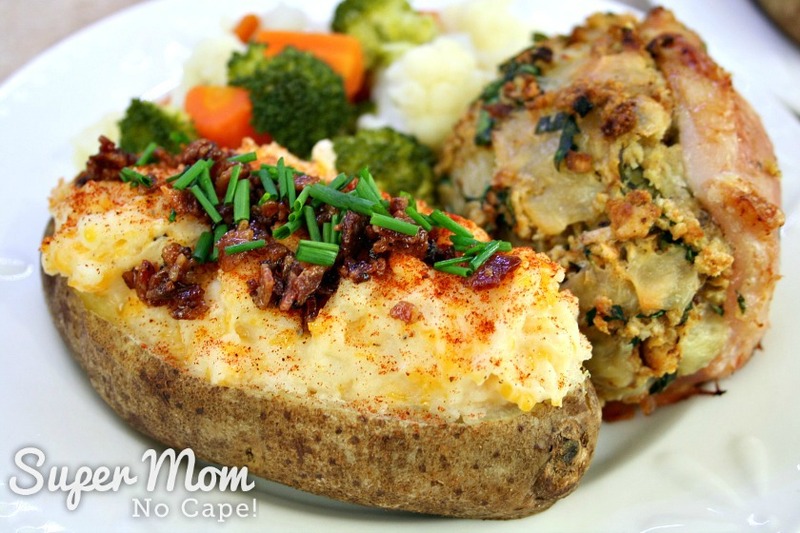 As you can see, we really do love these Twice Baked Potatoes and I’m positive that however you serve them, you’ll love them too. And in the unlikely event that you happen to have any left over (unless you’ve made extra on purpose like we did for this post,) they can be reheated and served for lunch the next day accompanied by a spinach and blueberry salad or your salad of choice. 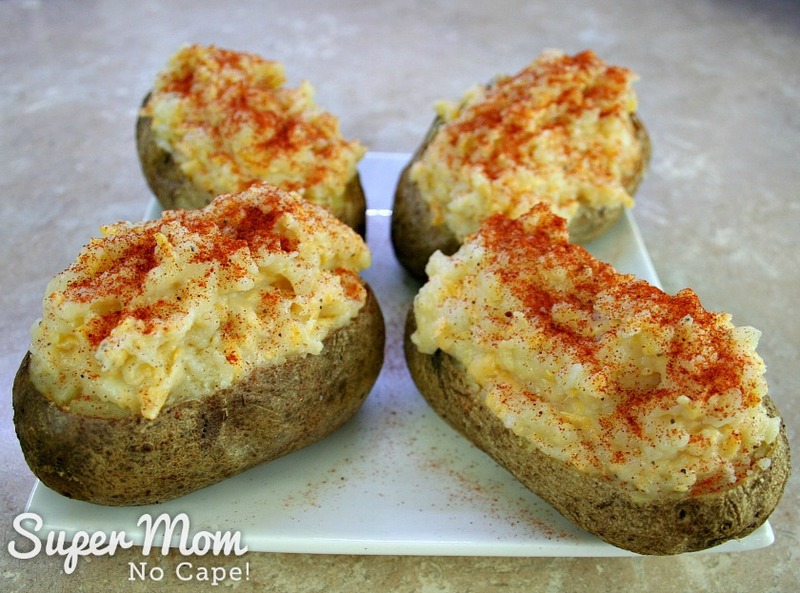 Need another way to use up leftover baked potatoes? 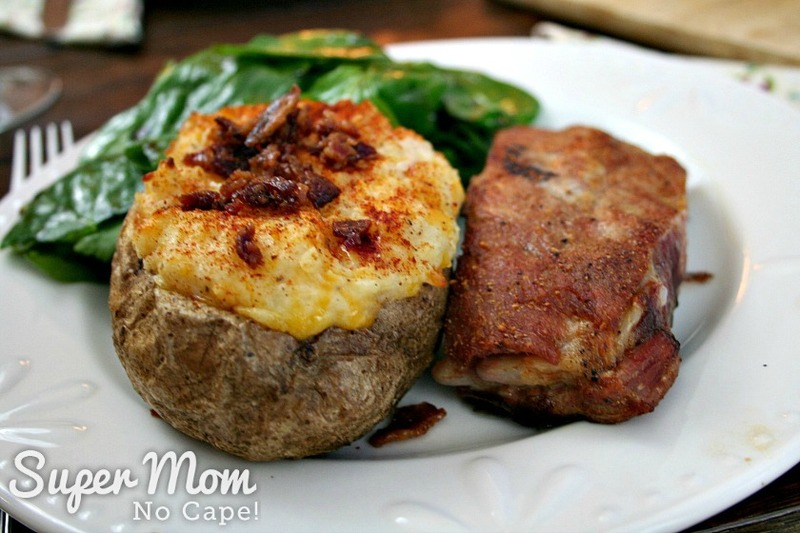 Leftover Baked Potato and Bacon Casserole is a quick and easy dish to get in the oven to serve with whatever meat and vegetables you’re planning to serve. 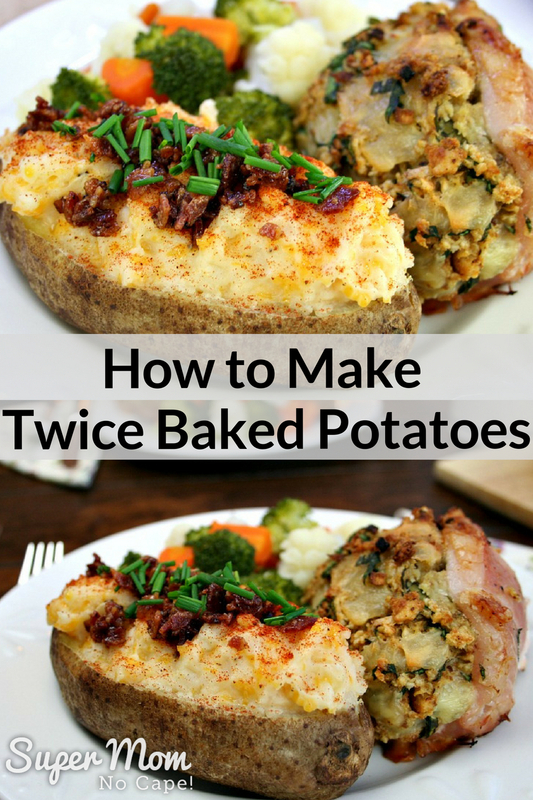 Be sure to save this recipe for How to Make Twice Baked Potatoes for future reference by clicking on the Pinterest button underneath this post. 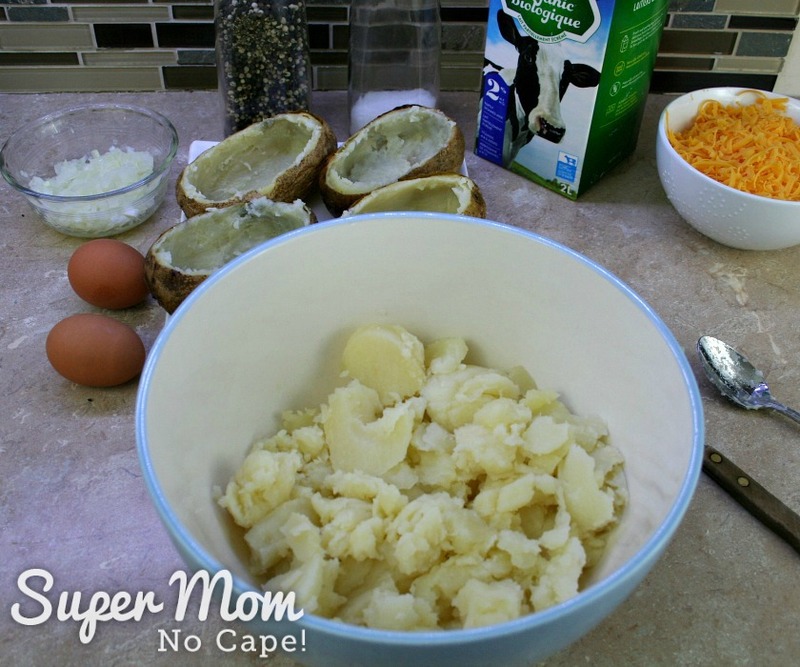 Note: This recipe was originally published on Super Mom – No Cape in February 2012. It has been completed updated with all new photos and directions. Nice recipe there Mrs! I’ve done these, but I’ve never used egg in the filling. Must try it that way. My kids love these! I haven’t used egg in them before either. I have used sour cream in the mix though. Yummy! Thank you Kate! It really is yummy! You’ve just reminded me of an old favourite, too! 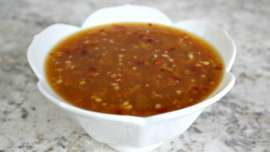 These comfort foods do have a tendency of reminding us of other old favorites, don’t they.